Any chance of seeing a positive progress in the ongoing pay tussle between Cricket Australia (CA) and Australian Cricketers’ Association (ACA) is looking bleak and recent signs are not promising either. With both the parties at loggerheads, the Australian players are facing the consequences.The deadline for to strike a Memorandum of Understanding (MoU) passed on June 30 and has left over 200 Australian cricketers unemployed. But despite facing financial uncertainty, the Australian players are firmly behind the ACA and the dire consequences have started to surface. 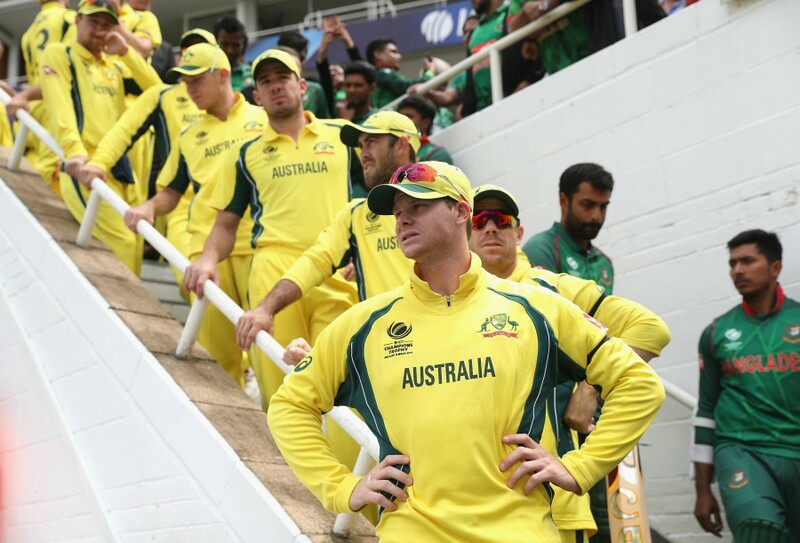 The players recently boycotted Australia A’s tour of South Africa and in case a new pay deal is not struck on time, there is a high possibility that the upcoming series in Bangladesh and India will suffer a similar fate. And with nothing clear as of now, ACA has been compelled to send its Commercial Manager, Tim Cruickshank, to explore commercial opportunities for the unemployed players in India. “The main reason for my trip is to have a few meetings, because as of July 1, when the players came off contract, the majority of the Australian cricketers have signed their intellectual property over to the ACA, and that’s been managed by the cricketer’s brand wing of ACA. So, that creates obviously a number of commercial opportunities for the ACA and for the players. And obviously, they’re currently unemployed. So, we’re going to have a look at the additional revenue streams that can come to the ACA and the players,” Cruickshank told The Times of India. “So, we’re having a number of meetings with local companies and very influential people in the marketing world to just getting the ball rolling on a few of those commercial partnerships,” he added. The ongoing impasse has been cast a doubt over the players’ international career as of now but Cruickshank quashed any speculations of the players not returning to international cricket again. He also assured that the players’ decision to not play international cricket, for the time being, would not decrease their brand value. “Look, to think that the players won’t play international cricket is probably pretty far-fetched. They will play international cricket again. It’s just a matter of when. I don’t think their value will go down at all. I think it will actually create the opposite impact on the Australian market. The companies want to support the players,” he said. When asked about the tentative date for the conclusion of the ongoing dispute, he said:“It’s very frustrating and we’re finding progress very difficult despite the flexibility shown by the players. There’s still a lot of details to work through. There’s no doubt that there’s been a lack of financial information provided to the ACA to make an informed decision. But the players are united. They’re sticking together, and are right behind the ACA. “They believe that revenue share is important, and it needs to remain. They believe that state players need to be included in that revenue share. Because the strength of domestic cricket is so important to the strength of Australian cricket,” he added. Is the present New Zealand side the most exciting team since Steve Waugh’s team?